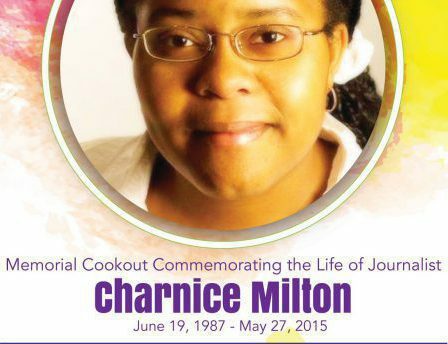 The 44th Annual National Press Club Awards Dinner on July 28 recognized many journalists, including the late Charnice Milton. In Charnice’s memory, her parents, Ken and Francine McClenton, and her editor, Andrew Lightman of Capital Community News, were acknowledged, and the bookstore established in her name was recognized. ALISON PARKER of WDBJ-TV, was shot and killed in August 2015, along with her cameraman Adam Ward. Alison’s parents, Andy and Barbara Parker are honorary members of the National Press Club and do advocacy work in her memory. JIM VANCE, the late broadcasting legend from WRC-TV in DC, will receive The President’s Award for his outstanding service to journalism and this community. More on the story at NBC-DC.